BACKGROUND: As an IT guy working for IBM, and then a small software company, Chandler has always been in sales and marketing but in different industries with go-to-market strategies that carry over. THE CHALLENGE: In the commercial world, specifically with house of worship, the majority of Auralex's current activities tend to be focused on retrofitting existing spaces. More and more it's getting exposure to architects and contractors to be a part of the design in the initial stages, but Auralex has got a long way to go on that, mostly because Auralex isn't a name people recognize in that market. SCN: What is, and how long have you been at, your current position? 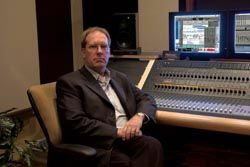 Tracy Chandler: I am director of sales and marketing for Auralex. I've been doing it for four years, which is how long I've been with Auralex as well. We have two divisions, but it works itself out into three: we do pro audio, which is predominantly music retail as it has turned out; commercial; and residential. Commercial and pro audio tend to overlap. Residential tends to be a beast of its own with unique challenges and products and market strategies. We only sell through dealers or distributors, we don't sell direct. I'm responsible for worldwide sales and managing all the channels of distribution that we have. We've got close to 30 distributors world wide, in just about every region of the globe, and then we've got a thousand dealers in the U.S. and Canada. I was in a completely different industry before Auralex. I was an IT guy working for IBM, and after IBM I worked at a small software company. I've always been in sales and marketing but in a different industry. There are a lot of similarities-at the end of the day, it's a product, and you have channels of distribution, and competitive issues, and go-to-market strategies-and all of those things carry over, you just translate it to the new world. But that's helped me a lot. IBM is technical, obviously IT stuff is technical. I have an engineering degree so I have a technical aptitude. Acoustics is kind of technical too, it's physics. There are certain rules, and sound behaves a certain way in a given environment, and you can't change physics. It's worked out really well and it's been a great situation for me. I think it's brought a different perspective to Auralex that they didn't have before I joined. I have a passion for music and I'm a hack at guitar-I like to say I have more gear than talent. I've always enjoyed that part of it, so it was a good match for me to take my experience in sales and marketing and my passion for music and bring them together. We have a lot of day-to-day stuff to do to keep the dealers and the reps excited about the products. I'm responsible for the product launch process, so developing new products that address certain requirements or needs across the different industries is always an ongoing thing for us. We try to launch two or three new products each year, just to keep it fresh, and to address some of the new challenges, or ongoing challenges that nobody else has found a way to address. I think Auralex has historically been the masters of coming up with simple products that everybody looks and says duh, why didn't I think of that, it's brilliant, but it's simple and inexpensive. A lot of that comes from the fact that, other than myself, almost everyone here at Auralex is a very talented musician. Virtually every one of our reps is extremely talented. They understand what musicians need because they are musicians. They bring these ideas, we do what we do with our product development process and product launch, and we come up with things like MoPADs and GRAMMAs, simple products that grew out of our own musicians' needs for those types of things, we launched them into the marketplace, and all the musicians go, "Wow, that's great, I gotta have one of those." They're inexpensive accessory products that introduce acoustics to people who might not have otherwise given much thought to it. It is a little bit of a different animal-you can't see it, there are no lights, you can't turn a knob and say oh that sounds better. It's this weird thing that goes on in a room that people don't always know how to fix. We launch a lot of products like that and we're constantly trying to think of new ways to expose acoustics to people that don't really understand it. For the contractor and commercial side, it's very similar but on a much different scale. We do a lot of house of worship, auditoriums, schools, theaters, that sort of thing, and the same thing holds true. House of worship is probably our biggest growth area right now, because I think the changes over the last few years in the style of worship have driven people to pay more attention to the acoustics of their space. When it was a choir and pipe organs, the resonance and the echoes added to the ambiance of the experience; today everyone has a drum kit and is playing contemporary music for the service and it sounds terrible because it's amplified. In the commercial world, specifically with house of worship, the majority of our current activities tend to be focused on retrofitting existing spaces. More and more we're getting exposure to architects and contractors to be a part of the design in the initial stages, but we've got a long way to go on that, mostly because Auralex isn't a name people recognize in that market. Most people, when they think of acoustics in the recording and music world, they think of Auralex because we've been doing it for 30 years. In the commercial market, and in residential to a great degree, nobody knows who we are. So our big challenge is educating these markets to who we are, what we bring, and the range and breadth of products that we offer. As we continue to introduce products that address the commercial marketplace, we're putting emphasis on growing that part of our business. Our emphasis is getting out there to those contractors and architects so they know what we offer. It's just a much bigger project each time. Are there new initiatives we are likely to see from Auralex? We're continually introducing new products that service that marketplace. We have been working with Russ Berger Design Group's Part Science organization for about a year now. They come up with product ideas, and they come to Auralex, and we've been introducing products to the marketplace. A lot of them are products that have commercial applications. Russ has all these great ideas pent up over 25 years of designing things and making them all custom. When we launch new products, we mix it up, we have some of our own that address the home studio guy, and then we've got products that come out of the Part Science relationship, and they do home studio too, but they tend to have a lot more commercial viability. Along the same lines, we're putting a lot of emphasis in products that are sustainable. That's a real important area to look at. LEED certification, especially in commercial marketplaces and public buildings, is very important and it's going to become more and more of a requirement. We're trying to make sure, where possible, that the products we're coming up with will meet those requirements.